Greetings music lovers!!!! It's been quite a while since I last posted (as usual) but I hope all of you are still following this blog, even though I've been neglecting it of late. It's been a really nice summer up here in Western NY so far and the weather's been pretty hot and dry, but the upside of that is I haven't mowed my lawn is a month so that gives me extra time to work on this project! Records have been trickling in for the past few months and since I've slowed this blog thing down to a crawl, they've been piling up quite nicely. You know what they say...the slow drip fills the bucket and our bucket is overflowing right now so I felt I had to make a contribution sooner than later. The main reason I set this thing to the side is because of the weekly show on Radio Free Phoenix which airs every Wednesday night at 10:00 PM EDT. 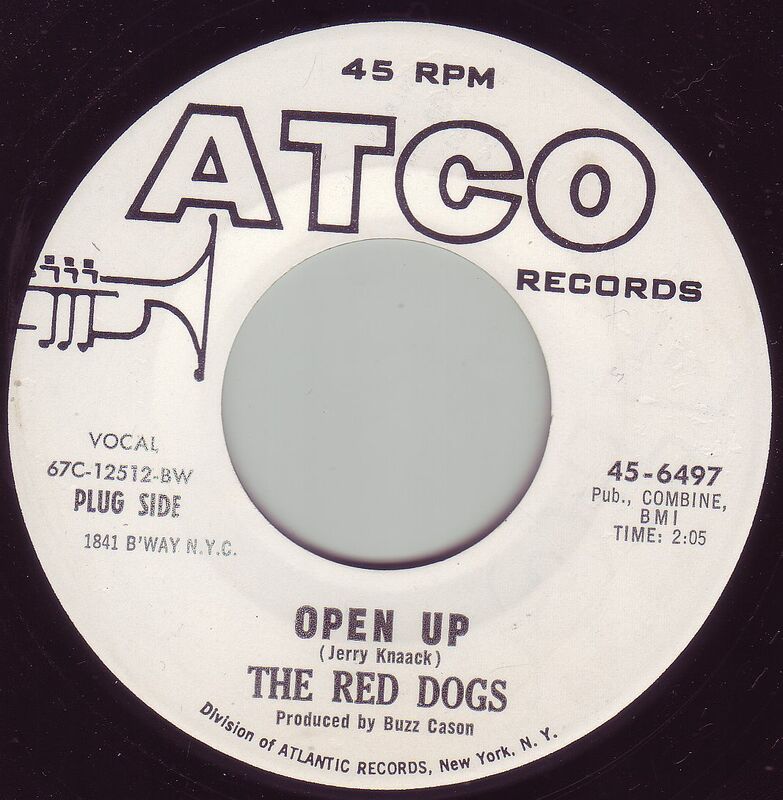 It also gets replayed on Deep Oldies every Sunday at 3:00 PM EDT. I have only so much time to spin 45's during the day so I have to prioritize, and if I have to choose between cleaning gutters and climbing on roofs and plucking weeds and blogging, I have to choose the chores that won't make me look like a slob and have my neighbors complaining. Such is life in suburbia, but it's a good one I must say. 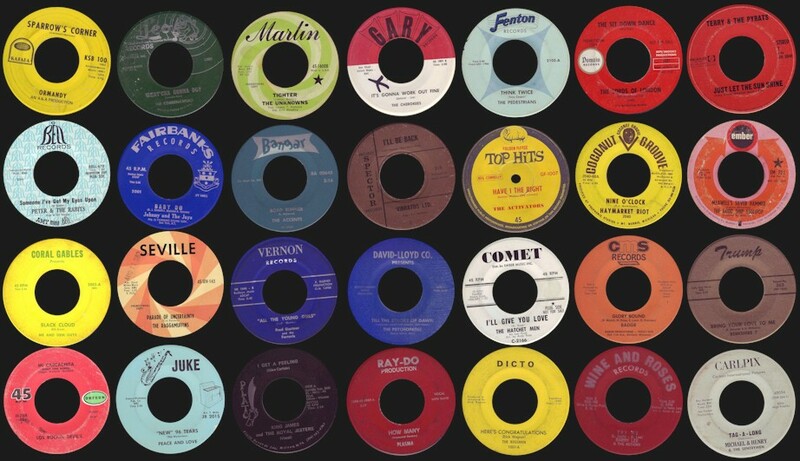 I picked a good dozen or so 45's that I've been spinning recently for The "Dan's Garage" radio show for this post, and I'm sure you'll like all of them. They run the gamut from frat rock to psychedelia so sit back, enjoy, and thanks so much for staying in touch. Let's start off with what could very well be considered the "genesis" of "frat rock". 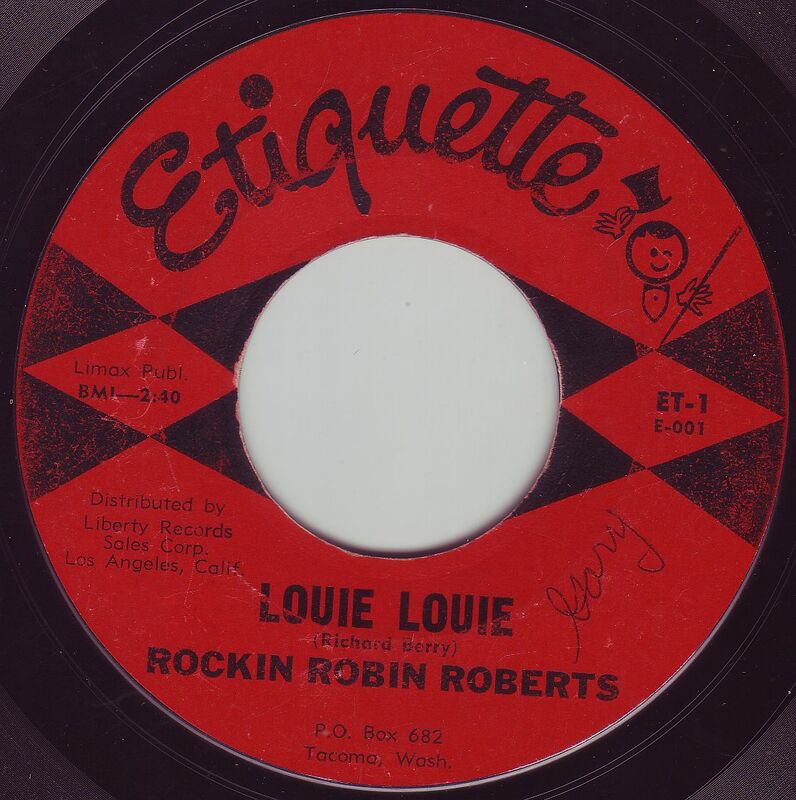 Robin Roberts moved to Tacoma, WA as a young lad and developed a love for R&B including the aforementioned classic, Louie Louie which was performed by Richard Berry and released in 1958. 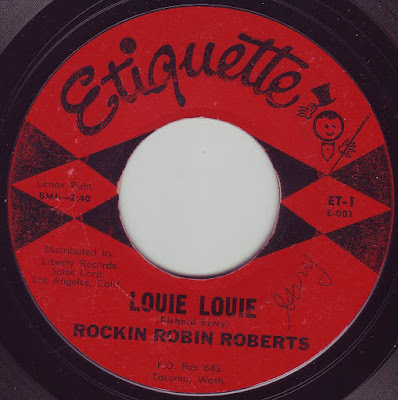 Roberts re-worked the song with The Wailers backing him up and became the template for all other versions afterwards including the classic rendition by Paul Revere & The Raiders, and thee definitive version by The Kingsmen, a band that was not exactly considered "top-notch" by their peers at the time. 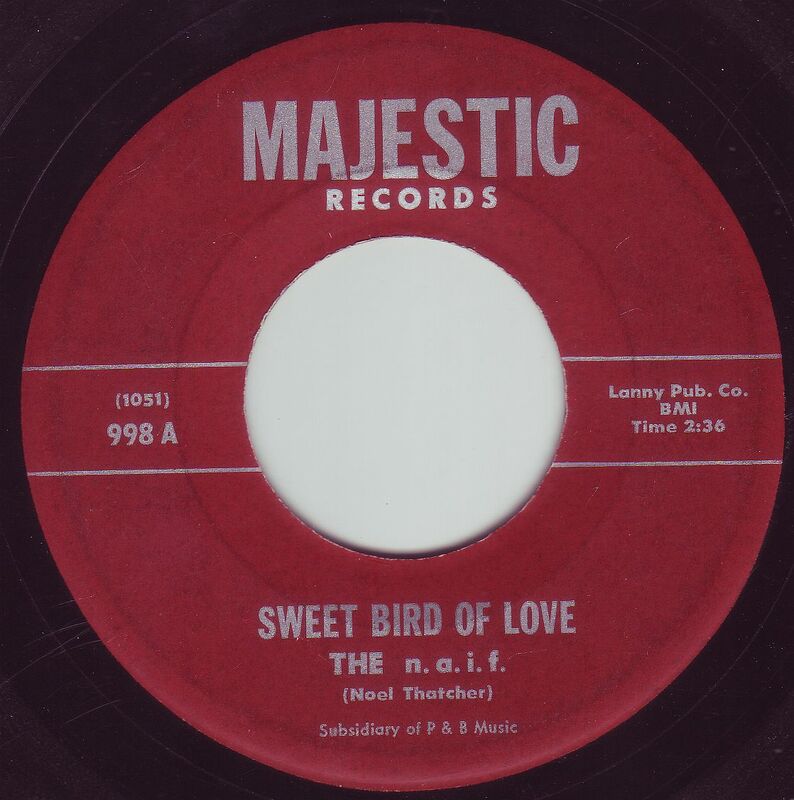 The Kingsmen recorded it, got picked up for national distribution by Wand Records, and the rest is history. I realize these are the "Cliff Notes" version of this story, but you get the picture. Sammy King & The Voltairs were a British group that toured with The Beatles, Rolling Stones, and several other acts in the early 60's as well as backing up Cilla Black on several occasions. They had two 45's released here in the U.S. and this one is clearly the best, The 'A' side being a fast paced original and the 'B' side a spirited take on "Great Balls Of Fire"
This act is virtually unknown and I have no info on it whatsoever. Best guess judging from the label is that it's probably an east coast act. 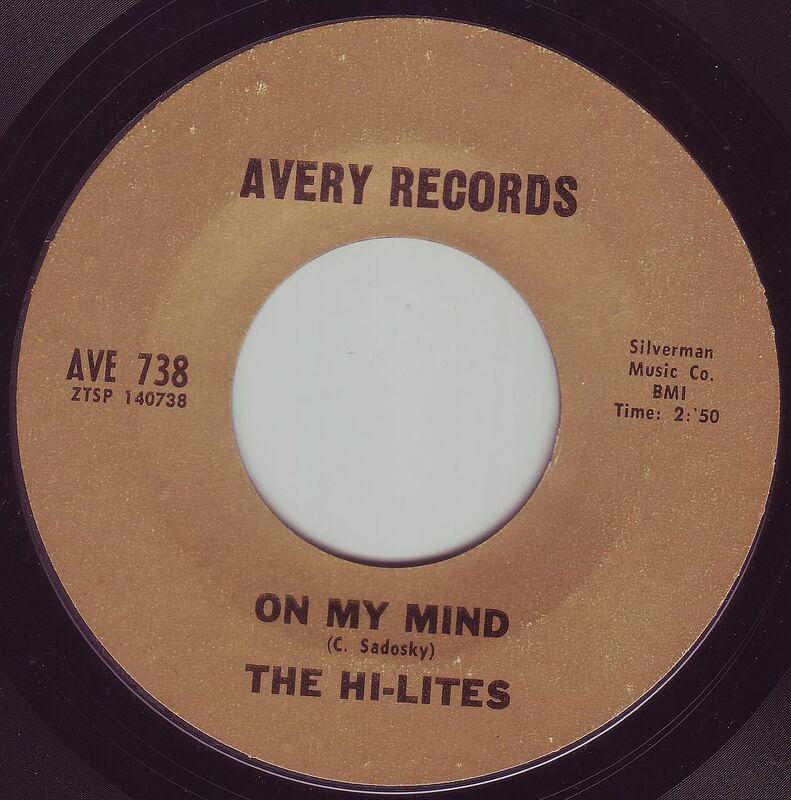 Both sides are very moody soul influenced garage with prominent B-3 organ. 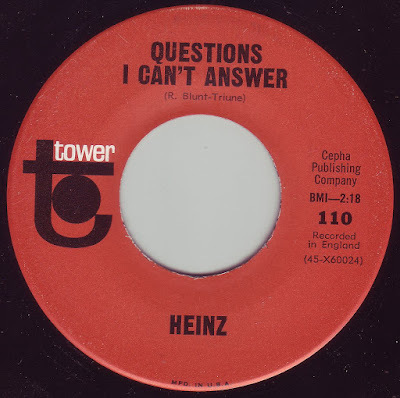 Heinz was the bass player for The Tornados and a protege of Joe Meek who groomed him to be a sort of an Eddie Cochran clone. 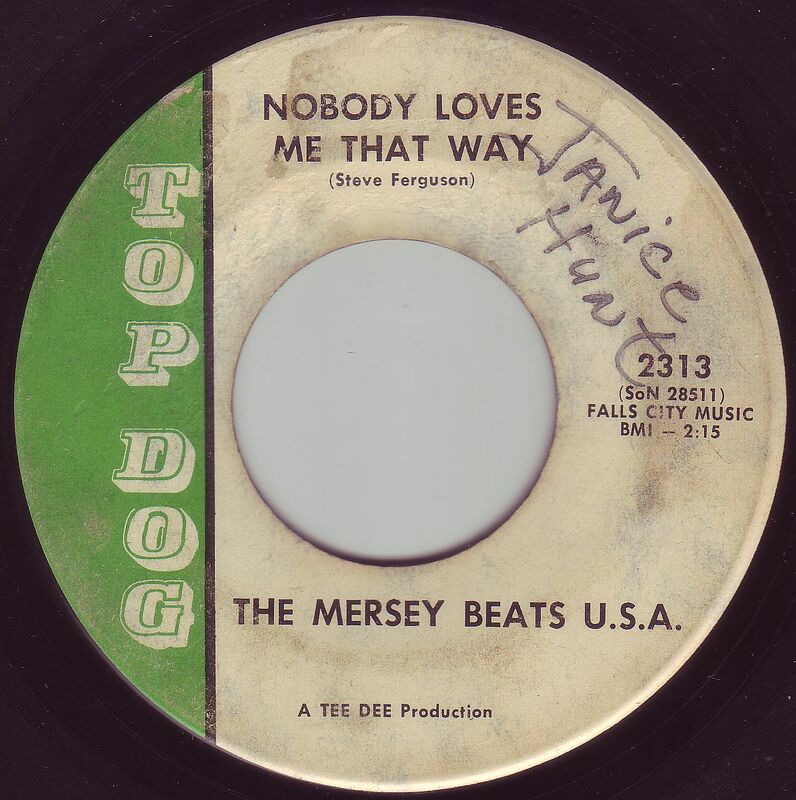 He had a bunch of 45's released in the U.K. and five in the U.S. including this one which bears all the trademark qualities of a whacked out Joe Meek production. A classic. 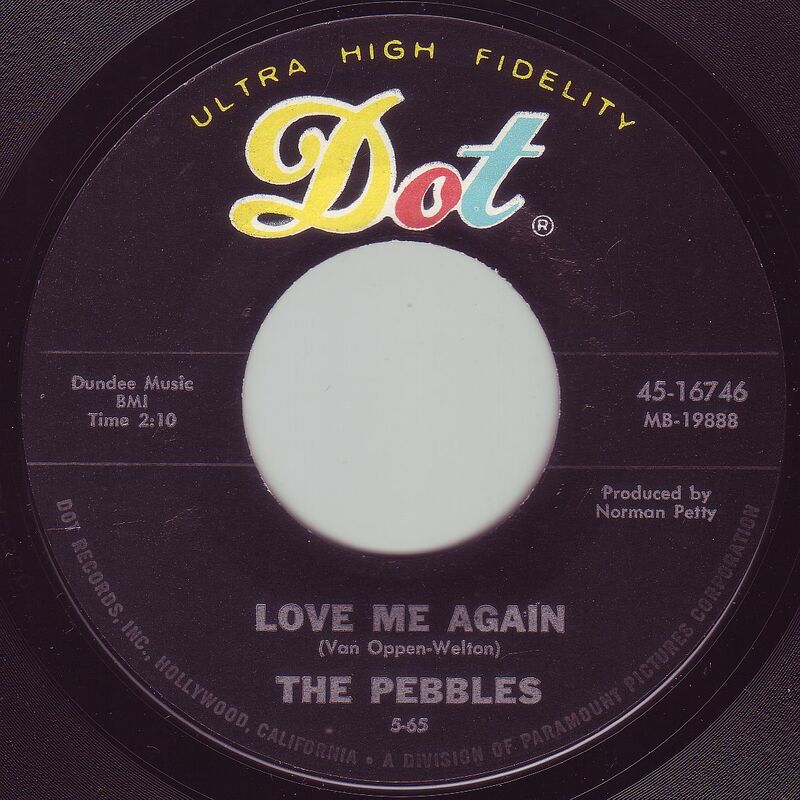 The Pebbles apparently were a popular group in Belgium and through Norman Petty managed to release this excellent 45 in the U.S. 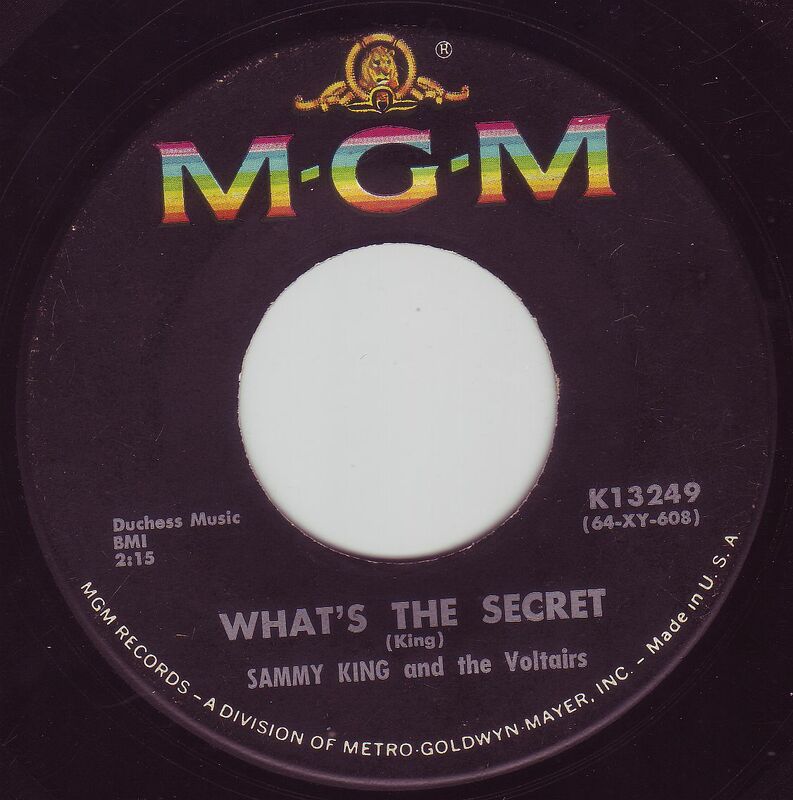 They had one other U.S. release in 1968 on Mainstream records. This one's a hoot! I first heard it on Boulders Vol. 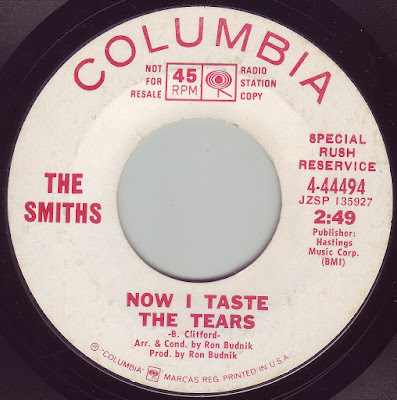 2, quite possibly THE WORST comp I've ever heard in my life, not that the content was bad, in fact it was top notch, it's just that the sound quality was atrocious and was real hard to listen to even on the best sound systems. So I was delighted to see this on a "buy it now" listing on Ebay for a very fair price, and the record was in excellent condition to boot. This is most likely a bunch of studio guys from Nashville getting together with a couple of cases of beer and having a jam session because if you ask me, these guys sound like they're all three sheets to the wind, especially the sax player who blows a honking two note solo. The guitar player tests his new wah pedal at the end and the singer had probably gone through a couple of packs of Luckies. Great stuff. The Red Dogs were a very popular group out of Lawrence, KS and were actually a blue eyed soul band named after the "Red Dog Inn" where they made their home and toured all over the midwest. This 45 though is typical garage drenched in fuzz with a great guitar break mid-way through. A classic! These guys were from New Haven, CT and were mostly known as The North Atlantic Invasion Force. They had at least five other 45's on several different labels including "Black On White" on Mr.G records which I'd reviewed in an earlier post. 'A' side is great garage and the flip is somewhat of a novelty song. 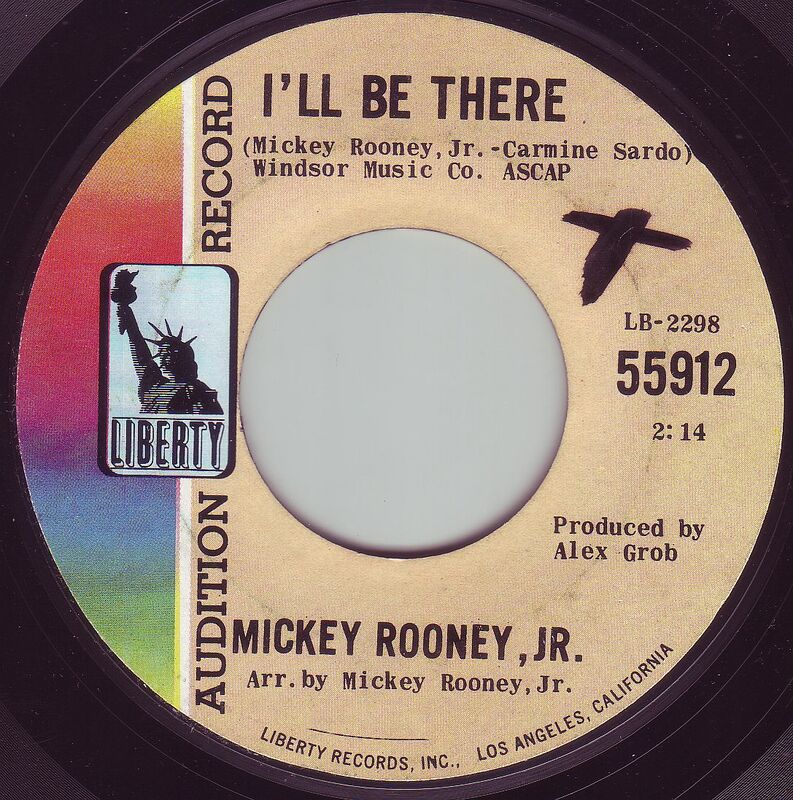 This 45 by Mickey Rooney Jr. definitely exceeded my expectations when I first spun it. I couldn't call this garage or psyche, but it's excellent nonetheless with some real good folk-rock flavor to it. 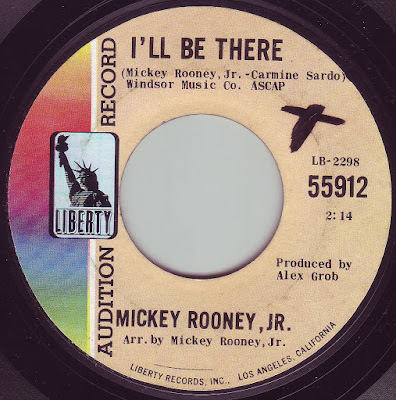 Rooney would have several other 45's as a solo artist and a few as The Rooney Brothers, and simply The Rooneys. Great moody two sider from a group out of Shivley, KY that reminds me of The Beau Brummels. 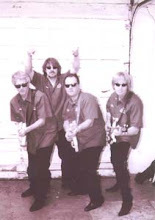 Keyboard player Terry Adams and guitarist Steve Ferguson would later go on to form N.R.B.Q. The Sandals were a group that ended up in L.A. via Belgium and released about eight 45's on World Pacific, many of them surf instrumentals. 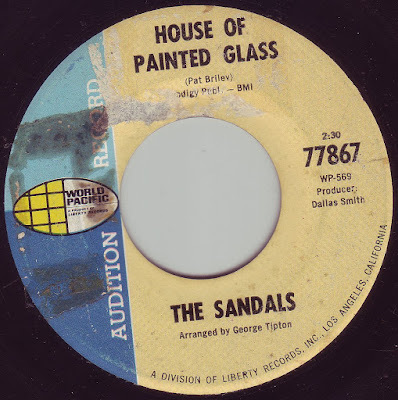 Their standout songs are "Tell Us Dylan" which I featured in a previous post, and this kooky psyche number "House Of Painted Glass" which is actually the 'B' side, but I'm featuring this one prominently because the 'A' side is a rather routine rendition of Paul Simon's "Cloudy", which is fluff to begin with. 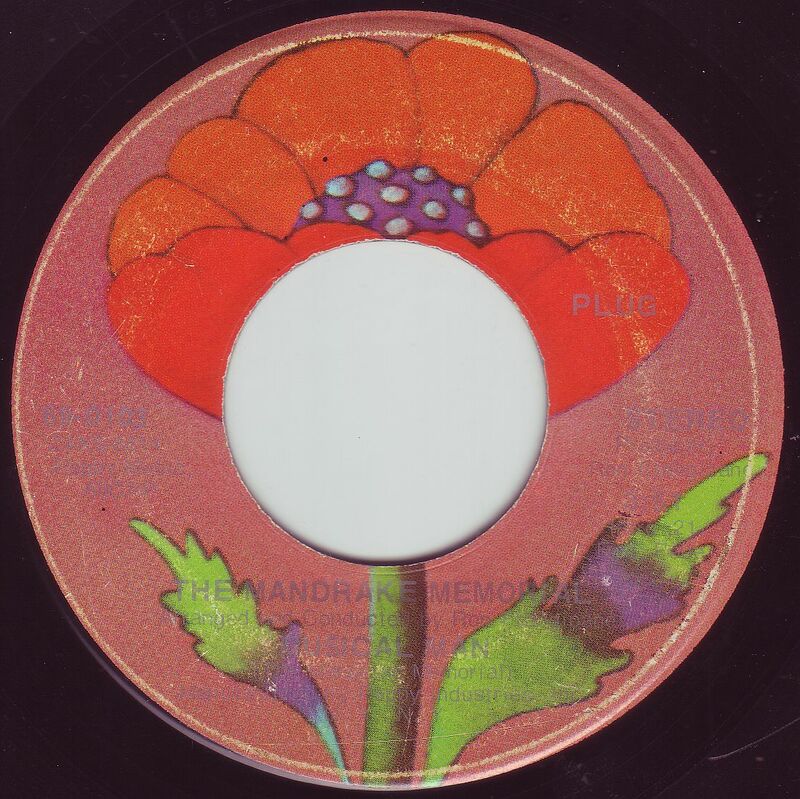 I really like this 45 a lot. 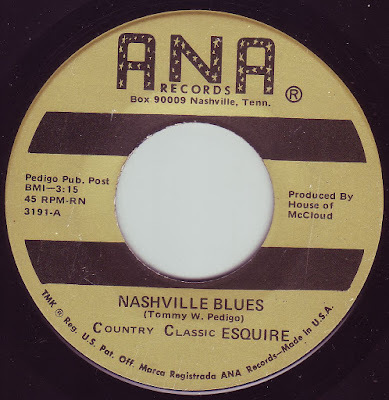 It's got this country/blues type feel to it, but it isn't exactly either. Most people list this as a garage 45 but it's definitely not that. It's a song about a guy who comes home from work (presumably), finds dresser drawers empty, wash on the line, dirty dishes in the sink, goes to grab a beer (maybe this IS a country song!) and finds a letter from his wife (or significant other, we shouldn't make assumptions these days), and then HE GRABS HIS GUN! Holy crap! The song starts off really low key and builds up to this climax and goes way back down in volume and fades at the end. One of my new favorites for sure. 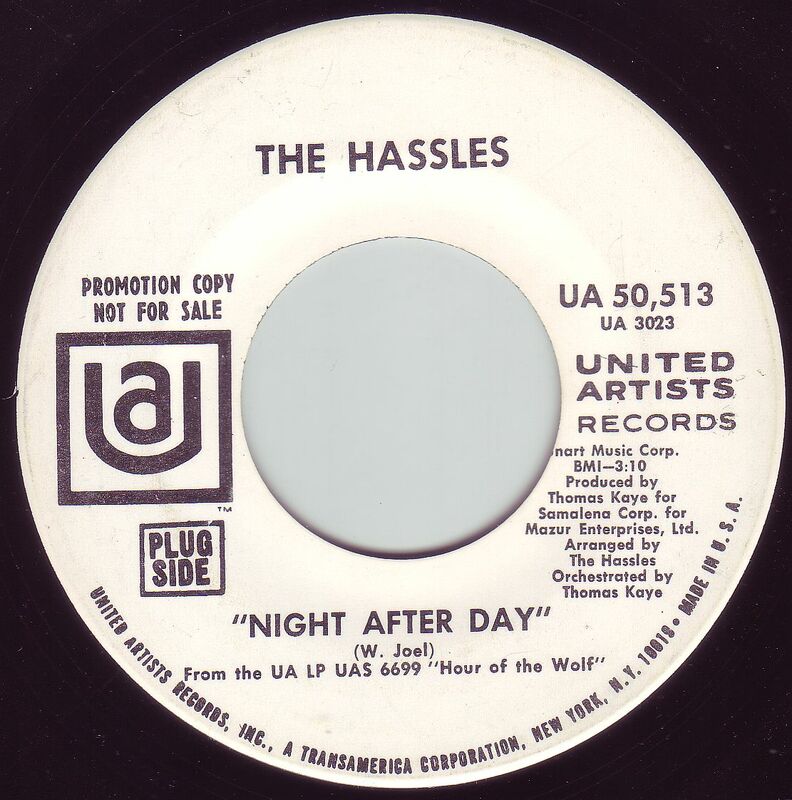 The Hassles were typical of the bands from Long Island as they were very much like The Rascals, Vanilla Fudge, The Vagrants, et.al. Lot's of soul influence and heavy on the B-3 organ. 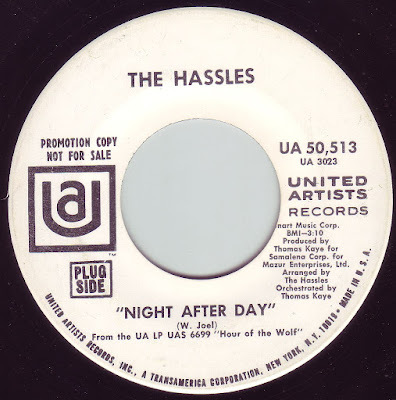 The Hassles obvious claim to fame is that it included Billy Joel on keyboards who after this joined up with Hassles drummer Johnathan Small and formed Attila, an atrocious duo that featured Joel plugging in his B-3 into a stack of Marshall amps (presumably) and a wah-wah pedal and recorded an album of God-awful noise. He wised up, changed his persona and become one of pop music's most beloved singer/songwriters. 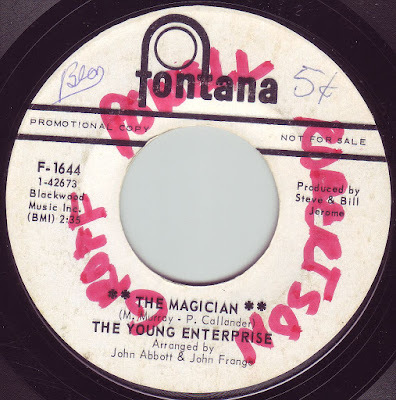 A nice swirly sunshine pop two sider by a group of unknowns, quite possibly a studio affair. These guys must've just bought a new flanger because the effect is featured prominently on both sides of this record. 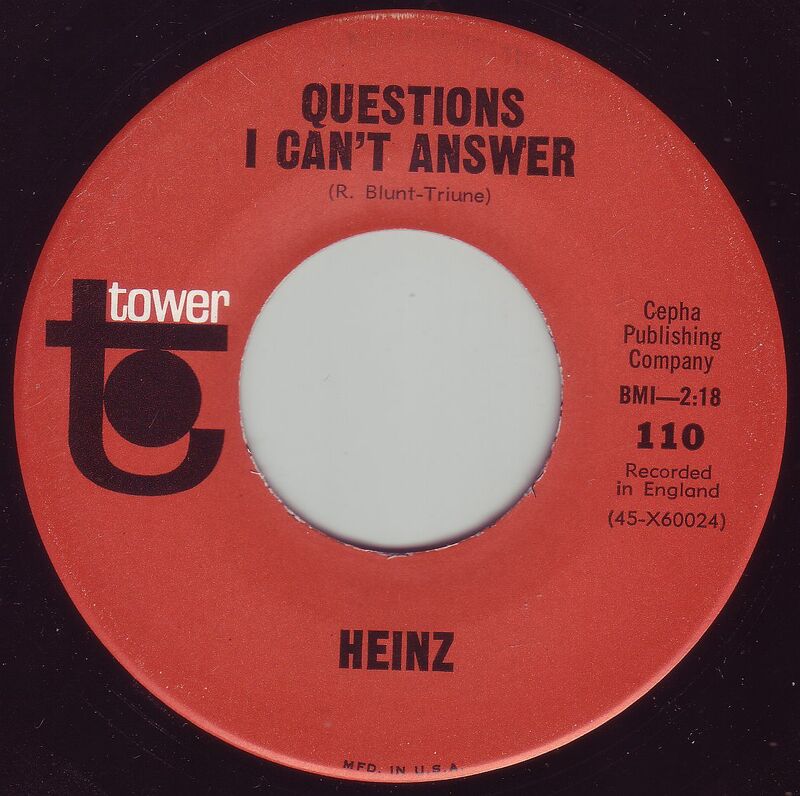 A really good psychedelic group out of Philadelphia, PA that released an L.P. but from what I gather, this two sided gem is not on it. 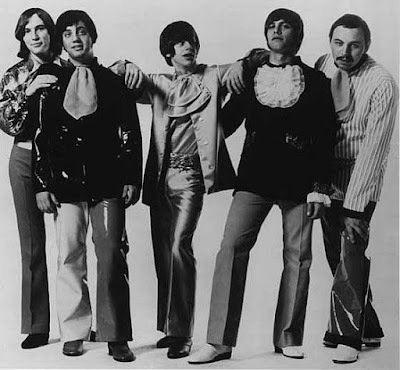 Both sides are great including their version of Thunderclap Newman's "Something In The Air". P.S. In case any out there wonder what gets played on the "Dan's Garage Radio Hour", you can download an Excel file of all the shows that have been played over the past two years. Archived shows are also becoming available on Mixcloud so check them out there as I upload them, usually one or two a week. Thanks for checking them out!